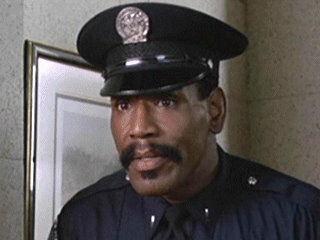 Bubba Smith, RIP | American McCarver. Your Sports Blog. Bubba Smith was an All-American at Michigan State University, who retired his jersey in 2006. He entered the College Football Hall of Fame in 1996. In the 1967 NFL draft, the Baltimore Colts made him the first pick. He won a Super Bowl with the Colts in 1970. Bubba played in two Pro Bowls and spent nine seasons in the NFL. Yet he will be mostly remembered as Hightower in Police Academy.